Breakout game with shoot'em up elements. Is there a better alternative to Meteor HD? Is Meteor HD really the best app in Arcade category? Will Meteor HD work good on macOS 10.13.4? Meteor HD is a powerful breakout game with shoot'em up elements. 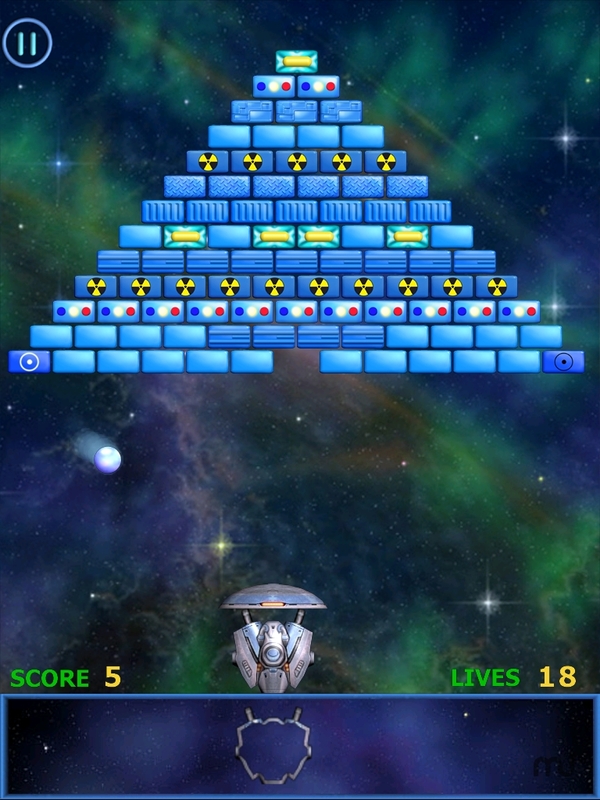 In this brick breaker game your goal is to destroy moving blocks and static destructible bricks. Hostile robots will fight against you. Enemy ships and non-destructible blocks will prevent you from breaking bricks. Many power-ups will help you to cope with the task. Some blocks contain useful bonuses - rocket enhancer, 7-ball-split, plasma ball, fire ball and various types of weapons and defence. Other blocks contain not so useful power-downs - for example, a rocket decrease or a slow speed. Meteor HD needs a review. Be the first to review this app and get the discussion started! Meteor HD needs a rating. Be the first to rate this app and get the discussion started! Tap anywhere higher than the rocket paddle to launch a ball or to shoot. Touch the rocket contour and move it left or right to control the ball. A must for fans of retro arcade games such as arkanoid, breakout, block breaker or ricochet.